Peace through Food. In 1958, my father, Momofuku Ando, the founder and chairman of Nissin Food Products, originated and marketed the product that we now know as instant ramen. During the chaos in post-war Japan, Ando came to believe that food outranked everything else in importance. He lived in a small, simple house conducting trial production of noodles and eventually came up with chicken ramen. Now about that Eco Style Refill Pack ~ i love that Nissin has embraced not only the green angle but also the DIY angle with its “design your own” flash templates for customizing the refill pack’s reusable cups! 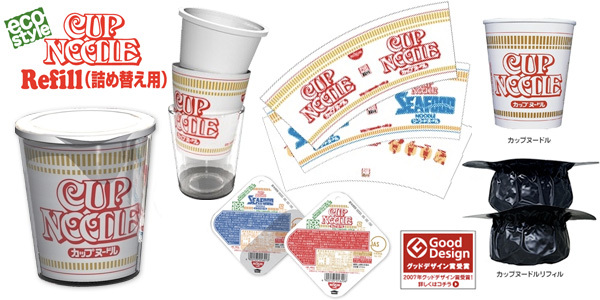 Basically you can buy refill ramen packs that you pop into the cup and cook as you always do! View the ad or also read more and see the spokeswoman. 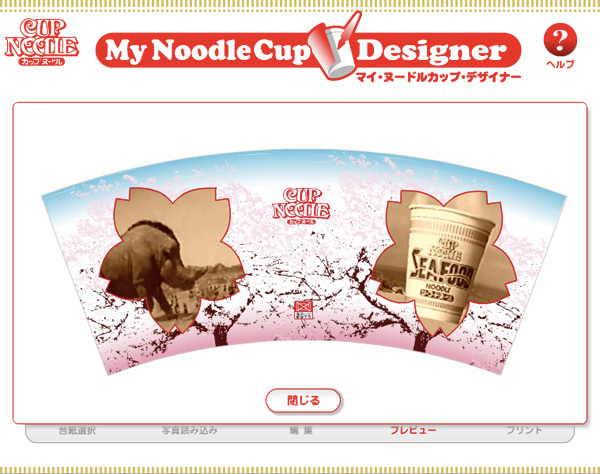 - Videos and images of the Cup Noodle Factory/Museum showing how cup noodles are made as well as how you can make your own custom cup noodles! 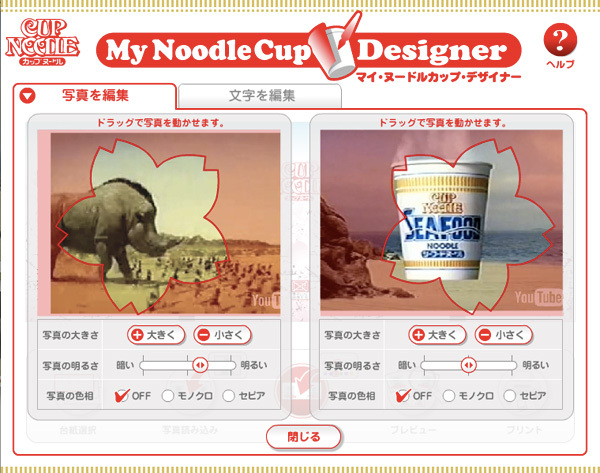 - 20 incredible Cup Noodle ads that can’t be missed!